There is a book that is shrouded in mystery. Some even say it's a myth. Within its pages is a play - one that brings madness and despair to all who read it. It is the play of the King in Yellow, and it will haunt you for the rest of your days. Robert W. Chambers is primarily famous for his supernatural horror stories, collectively known as the Carcossa mythos or Yellow mythos. 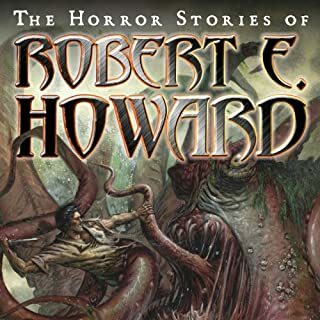 These incredibly creepy stories were favorites of later horror authors like H. P. Lovecraft, who actually incorporated them directly into his own Cthulhu mythos. Also, Chamber's most famous horror creation, the titular King in Yellow, has recently been resurrected in True Detective. 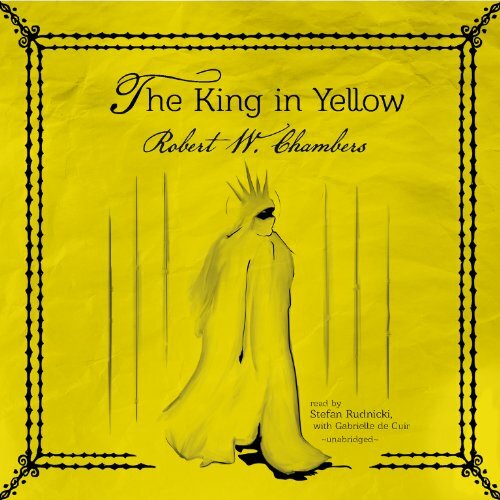 First of all, this is a recording of the original 1895 edition of the King in Yellow. That edition didn't contain the complete Carcossa mythos since Chambers hadn't written it yet. And as many have already noted, only around the first half of this edition contains Chambers' horror stories. Around the last three hours, the stories shift from supernatural horror to love stories set in Paris. This isn't necessarily a bad thing, but just know what you're buying. Also, while I really enjoyed Stefan Rudnicki's very deep, baritone voice it may turn some off. Best listen to the sample first. With all that said, I'd ultimately recommend this as worth a credit. Enjoy! 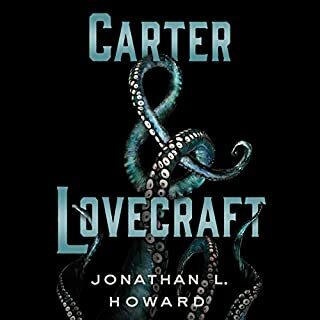 Would you listen to The King in Yellow again? Why? I've listened twice and probably will again. Each story is so bizarre and sometimes confusing that I love trying to figure it out each time. What other book might you compare The King in Yellow to and why? What does Stefan Rudnicki and Gabrielle de Cuir bring to the story that you wouldn’t experience if you just read the book? Stefan Rudnicki's voice is absolutely wonderful to listen to. In an almost punny way, his voice brings a great depth to the stories. Who was the most memorable character of The King in Yellow and why? I think I most enjoyed the character, who's name I unfortunately have forgotten, who gets lost in the moor and is saved by the young girl with the bird. This book was so well written it puts many curriculum books to shame. The use of foreshadowing and allusion were outstanding. I fell asleep listening to this and had extremely vivid dreams. I highly recommend listening to this work of art. What disappointed you about The King in Yellow? The complete shift of story type in the second half. The first half of the book is a series of macabre short stories in the vein of Poe, but then the second half turns into a series of pointless romantic blathering about American artists in Paris' Latin Quarter at the close of the 19th century. I kept waiting for the stories to take a turn but they just continued to prattle on about pots of pansies and the inane interactions between the artists and their various crushes. Would you be willing to try another one of Stefan Rudnicki and Gabrielle de Cuir ’s performances? Rudnicki's monotone performance with little distinction between characters means I am unlikely to listen to something by him again. Gabrielle de Cuir only performed the occasional snippet of poetry at the beginning of a story. Basically a non-entity. "True Detective" is the only telly I've watched all year, and I only finished it over Thanksgiving. (Nothing against watching telly, I'm just a workaholic). Before watching the series, I'd never heard of this author, far less of this book. But I am a huge Ambrose Bierce fan, so when they referenced "Carcosa," I was intrigued. After I finished watching, I went back to my well-worn Bierce and found his short story, "An Inhabitant of Carcosa," the penultimate tale in his 1893 collection "Can Such Things Be?" The story is told through the medium Bayrolles, a form he uses more than once. 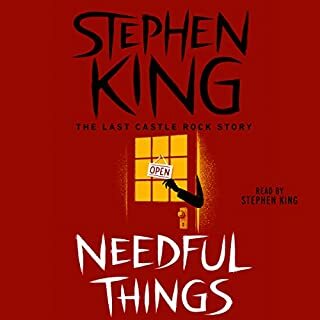 The deceased soul tells the medium of how he came from "the ancient city of Carcosa" to find his own grave and then the ruins of his former dwelling place. It's a haunting, time-twisting, dark, breathtakingly brief story so typical of Bierce: "I called aloud the names of my wives and sons, reached out my hands in search of theirs, even as I walked among the crumbling stones and the withered grass..."
Then I checked out "The King in Yellow," and found in its first chapter, "The Repairer of Reputations" a brief reference that points to the Bierce story, including mention of "the lake of Hali," and "Carcosa, where the black stars hang in the heavens." I listened on, becoming ever more disappointed in the book. Far from being a Bierce-inspired story or pointing to anything much in "True Detective," it's an overwrought, fevered, disorganized mess. It seems to be a pale shadow of the French Decadent and Symbolist writers. 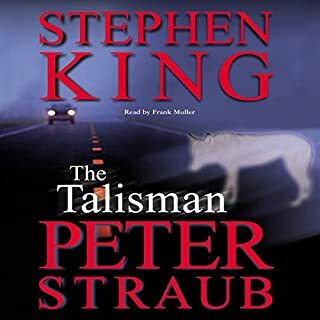 The first part is really a long story, with several short stories with only the most tenuous connection to the original premise. If you like the character of Rust, Bierce's work is full of complicated, dark, tormented, wonderfully wild men with pasts. Many times the characters are "here but not here" and seem to have one foot in this world and the other in the next. I highly recommend his work to any reader. And Bierce is classic for a reason: his work has held up over time. Chambers' work has not. Perhaps in 1895 when it was published, "The King in Yellow" was more relevant. It might even be possible that the murderers in "True Detective" could have built their dark Mardi Gras rites around it's themes. But for today's reader, I'm not sure it has much value, and for "True Detective" fans, it's not going to help much. Look to the original master, Bierce. Time with him is always well spent. this feels like two separate collections tied together by the rather strange notion of love in France. The first stories are wonderful, the last two-three arnt as interesting. But still worth the price. The first stories of the book are of semi Sci fi, alternate reality, macabre nature that is very exciting and leaves you wanting more literally. after the first few stories which I would listen to again and again. The novel turns to 1900 American in Paris loves story which are nice but not the same. I had went into this expecting 1920's Weird Fiction, and when it started it delivered quite well. 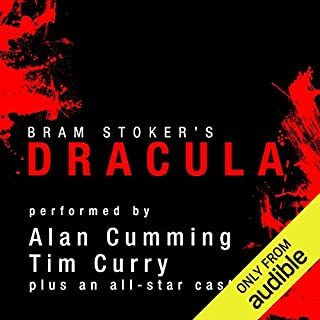 I began to realize it was more a collection of short stories and thought they'd be tied together by the play that share's this books title. Instead it just drops the weird fiction part halfway through and drones on and on about American artist faffing about in French art schools and romance, with none of the strangeness I had such expected. 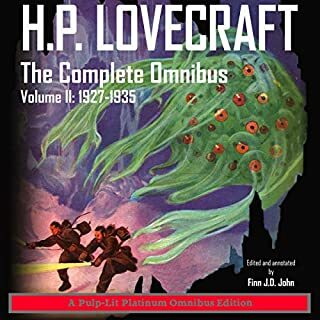 Derleth's reworks of the mythos stuff is usually frowned down upon, but at least there The King in Yellow wasn't just art in France.